We love our roast beef very rare and very pink, with plenty left over to make cold roast beef sandwiches. 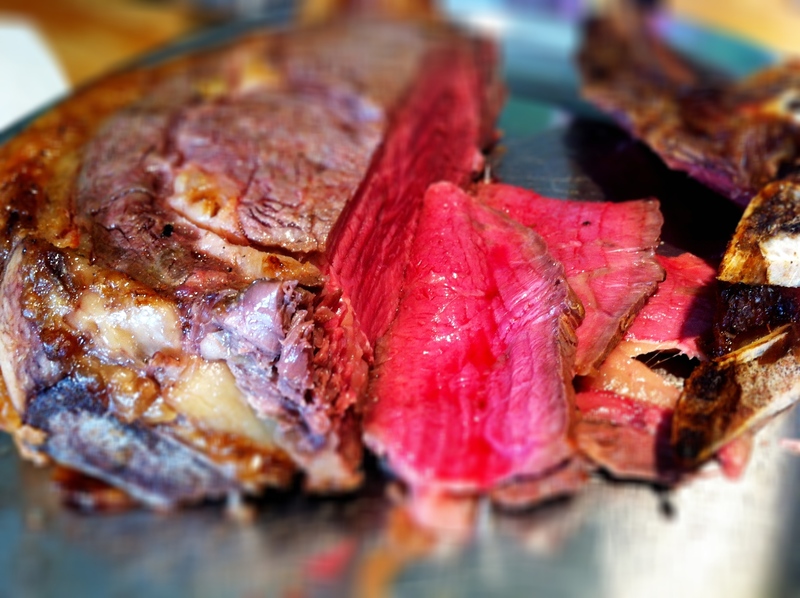 On Easter Sunday, my husband and I roasted a rib of beef. Our butcher threw in a few veal bones as I wanted to make a bone marrow gravy to go with the rib of beef. As there’s only two of us, we had plenty of roast beef left over so on Monday, I set about baking a loaf of bread so we can have some cold roast beef sandwiches. I love baking bread, which is weird because I don’t actually really like eating bread that much, apart from traditional French baguettes. I’ve actually signed up to attend a French bread making course in a couple of weeks and I can’t wait! I didn’t really fancy using my loaf tin so I decided to let my dough rise and spread naturally on a baking tray. 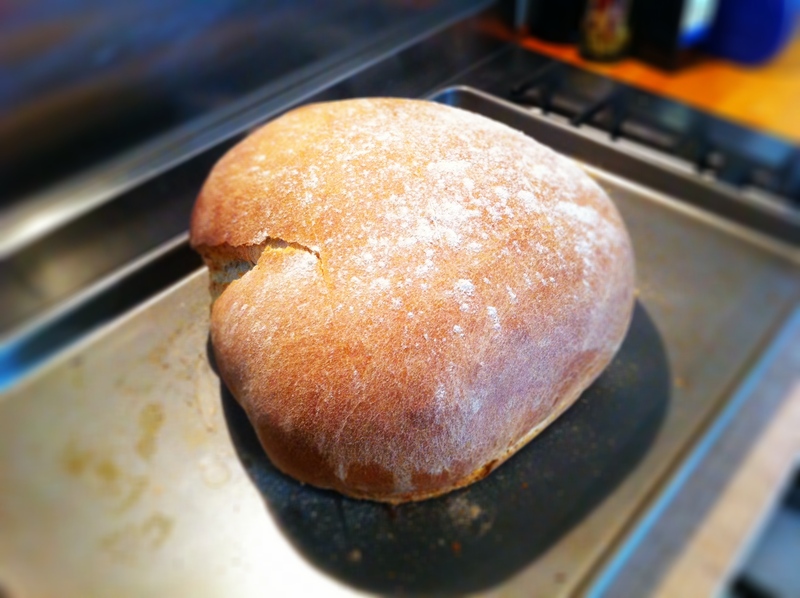 I was hoping it would come out like a round farmer’s loaf but what ended up happening was that it split slightly, turning out to become a sort of heart-shaped loaf. Naturally, I told my husband that I did that deliberately just for him… it’s obviously not true but might win me some brown nosing points which I can redeem against the next time I get into trouble, LOL! 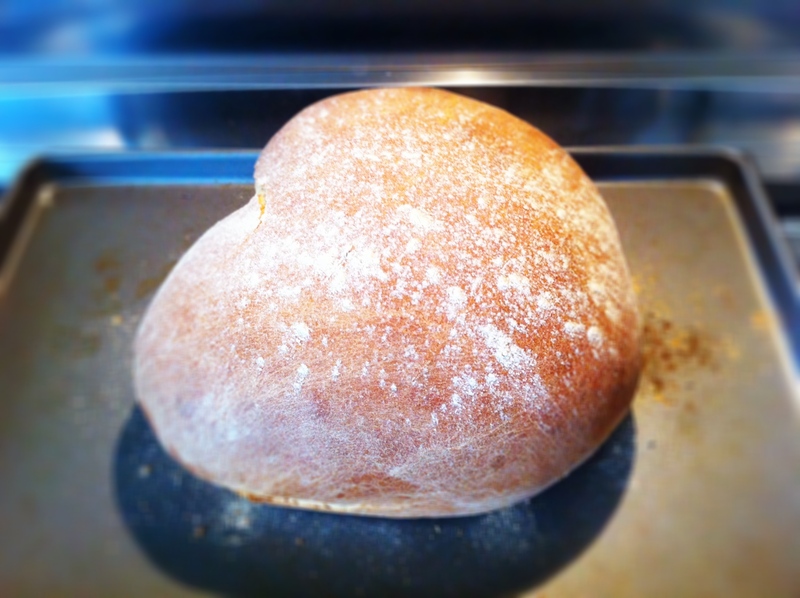 Our heart shaped loaf - a happy accident. I made this milk bread with a mix of flour because I didn’t have enough bread flour in the oven but it’s turned out perfectly fine. What’s also good is that it doesn’t need to be proved twice – it just needs one proving and only for 30 minutes, perfect for impatient bakers like me. Um, this was might be a round loaf until it split and became heart-shaped. Click here for a printer-friendlier version. YUM! Bread doesn’t have to be difficult, right?! Have a great time at your bread class, I just went to a French Bread making class a few weeks ago and it was a blast! I bake a lot of bread, giving most away to friends, but I’ve never baked milk bread and am looking forward to baking a loaf. Thanks for sharing. What a gorgeous baking accident! What a wonderful accident – I think that’s really brilliant :). I find it hard to eat beef quite that rare. A little longer for me – not grey though. I love baking bread too, BFN, and like you, I don’t eat that much of it! This bread looks quite lovely and would make a delicious sandwich. I love to bake bread and to eat it — if I baked it everyday I would eat it everyday so I restrain myself to about once a week. 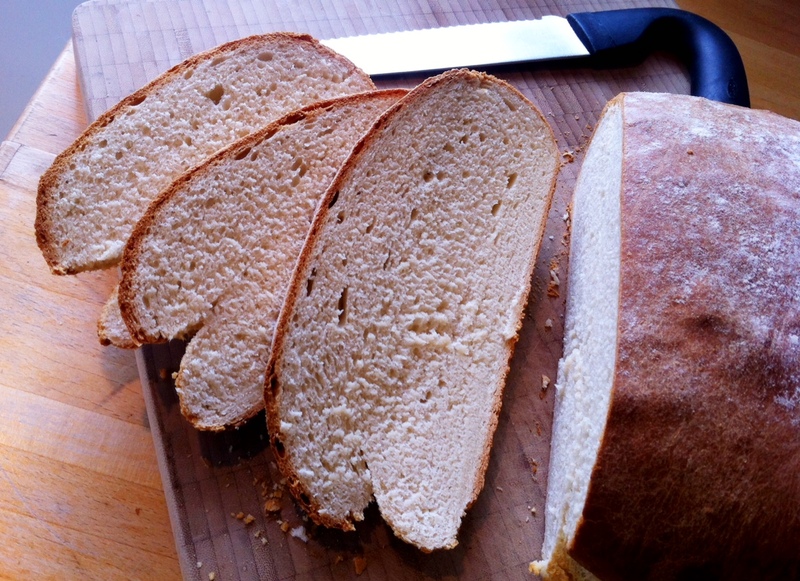 Your milk bread looks lovely, a simple old-fashioned sandwich bread. It would probably make good rolls, too.